Words: A translation by K. W. Simpson of the carol Su levate pastori, from the “Laude Spirituali,” 1674. Music: Italian melody (La Rosellina) from the “Laude Spirituali,” 1674. 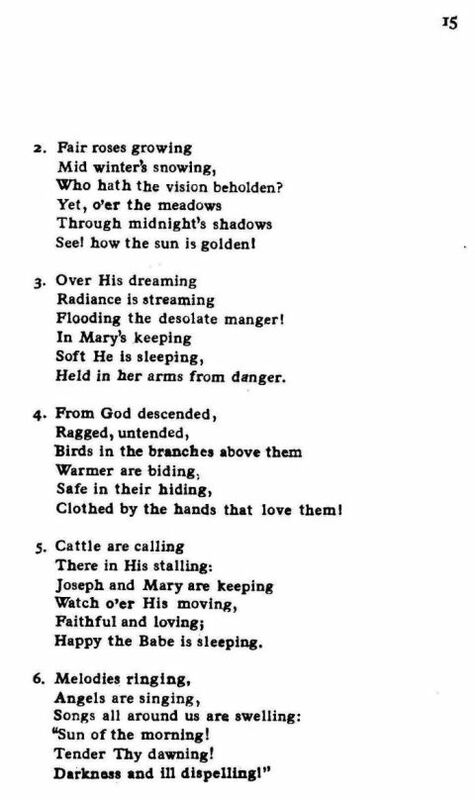 Source: Richard Runciman Terry, Two Hundred Folk Carols (London: Burns Oates & Washbourne Limited, 1933), Carol #135, pp. 14-15. See! How the sun is golden! Held in her arms from danger. Clothed by the hands that love them! Happy the Babe is sleeping. 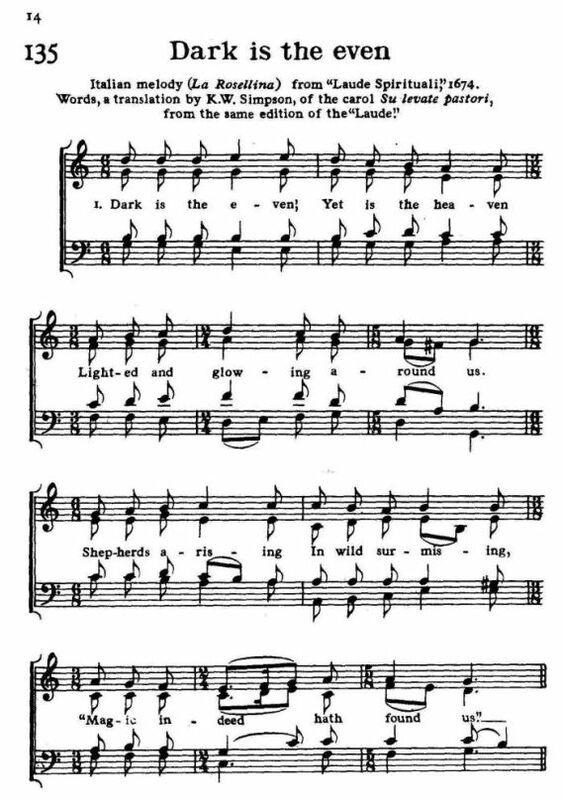 Sheet Music from Richard Runciman Terry, Two Hundred Folk Carols (London: Burns Oates & Washbourne Limited, 1933), Carol #135, pp. 14-15.